I never wanted to join the bandwagon of #travelgoal-ers during the summer season, so I started my summer a little early. Okay, call me anti-social but come on, I don’t want to experience that Expectation vs Reality in real life. Trust me, it ain’t fun. Too much city life will always draw us to go to the mountains or beaches. So yes, I ended up beachin’. Mainstream? Yeah! 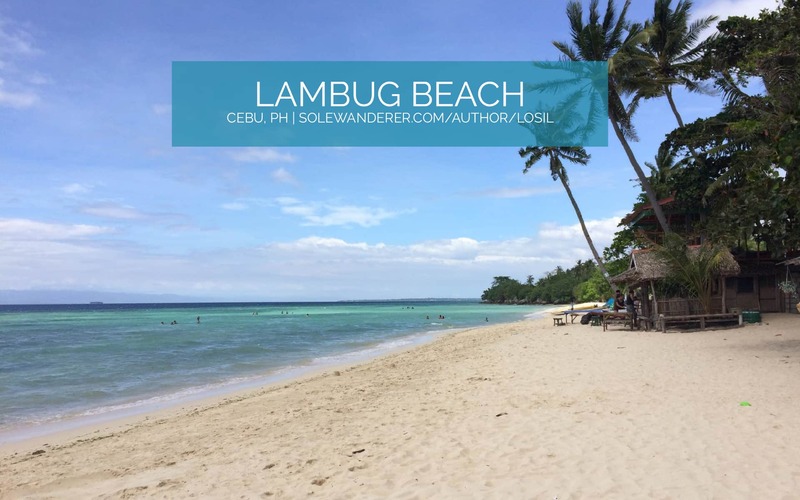 But little did I know that aside from the famous beaches here in Cebu there’s one that is left untouched and unspoiled. This haven is situated in Badian, Cebu. Just a 3-hour drive from the city and you’ll be gifted with too much beauty of mother nature. 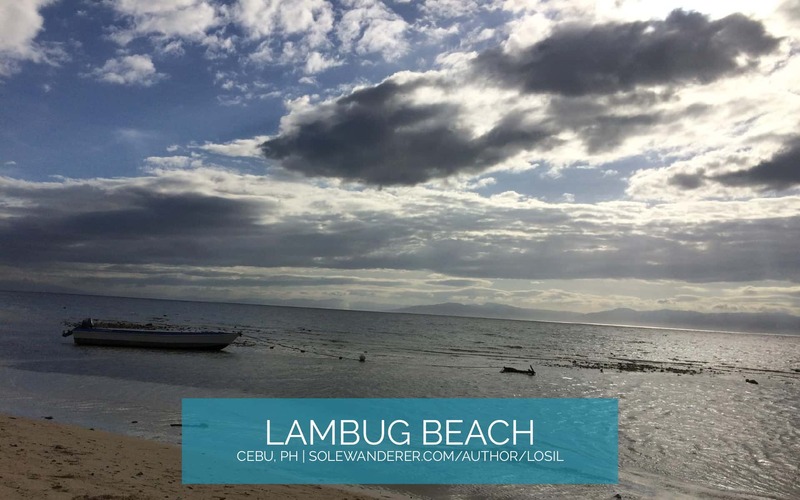 Unlike the overcrowded beachfront, Lambug beach is almost secluded. Its long-stretched beach sand is more likely of Boracay. Never been to (Boracay) but it’s most likely the same from the pictures you see online, but less the crowd, partying and the noise. I am not an acclaimed beach lover, because I don’t like the heat of the sun but when I came here I just didn’t care. The blue, green water will leave you pointless. You will envy the very least of this place. This is almost paradise I could cry. INFO: There are some privately owned cottages where you can rent as well as tents. 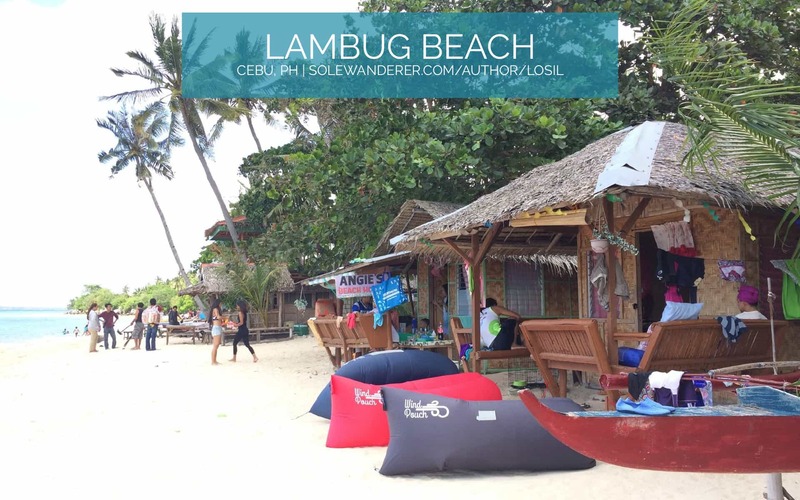 Budget for a place to stay range from PHP 300– PHP 1,500. 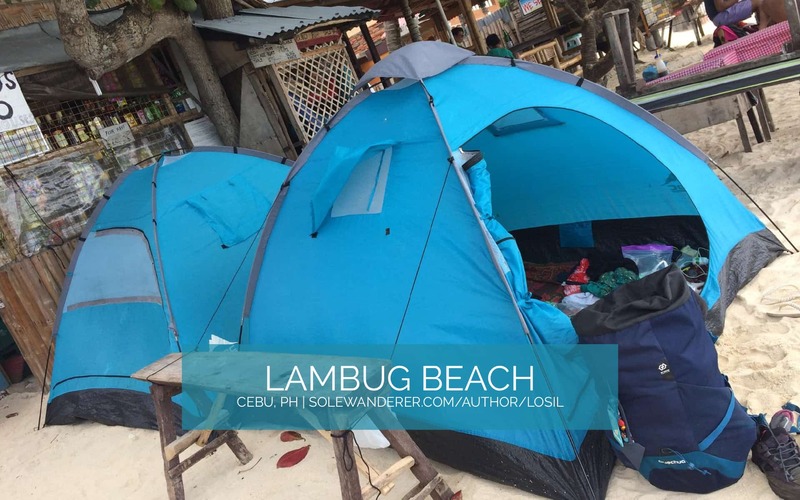 For expectation purposes, there are not many extreme activities that you can do here, aside from exploring the beach from side to side, backpackers can also camp overnight. By the way, it was too cold during the night, some drinking would really help ease the coldness. We stayed in Juntos de Novo, we rented the room with a cottage outside for only PHP1,500. The owner is not strict for the number of persons occupying the room. You can borrow any utensils you need, you can also cook. A toilet is available in every room as well. The rooms are not grand but it’s well-groomed. Tents good for 2 is PHP 300; for 4 is PHP 500. 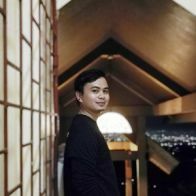 We always have a fair share of service experience but as for me, it was okay. I still advise you to go walk in if you’re looking for someplace to stay. There’s really no so much tales to tell about the place but I could talk about it forever. This is my favorite place so far. So if you’re looking for someplace to relax and unwind. Get that backpack on and head here!